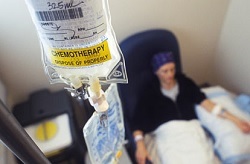 A new review of published studies indicates that distress and neuroticism at or within three months of cancer diagnosis may predict emotional distress at least 12 months later. In the Psycho-Oncology analysis, there was no consistent evidence that demographic, clinical, or social factors reliably predict long-term distress. The investigators noted that studies included in the analysis were varied, with different populations and methods. Therefore, additional studies are needed to test and expand the preliminary findings before any conclusions can be reached. "While the research suggests that levels of distress and neuroticism around the time of diagnosis are useful markers of vulnerability, further prospective research is now needed in order to understand how these variables might be related and to identify the psychological mechanisms by which distress is maintained," said lead author Dr. Sharon Cook, of the University of Liverpool, in the UK.